With the ecoSAVER™ solarDOME, an extended summer means more fun for the kids and more relaxation for you! 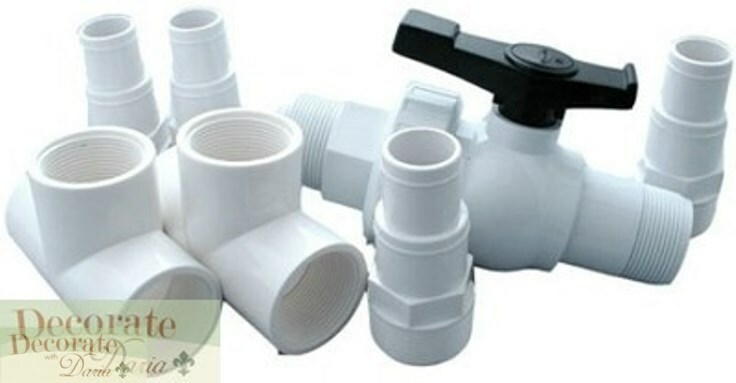 Works with your existing pool filter system. 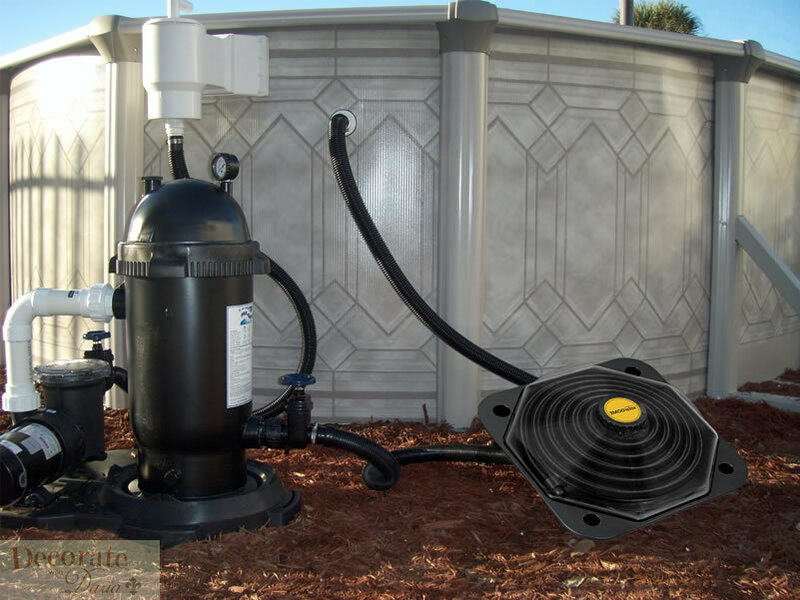 Using your existing filter system, water circulates through the ecoSAVER™ solar panel, is heated by the sun and returns to the pool through the filter system raising your pool’s temperature up to 15 degrees. Get the system used by hundreds of thousands of Americans and save money on fuel and electricity bills, extend your swimming season by weeks, and get more enjoyment from your pool than ever before. How Well Does Solar Pool Heating Work? A properly sized and installed solar pool heating system will raise pool temperatures 10-15 degrees during the season. When it's cloudy or rainy, solar won't work as well (and you probably won't be swimming during those times), but your water will be back up to temperature after one or two warm days. Do I Need A Special Pump? 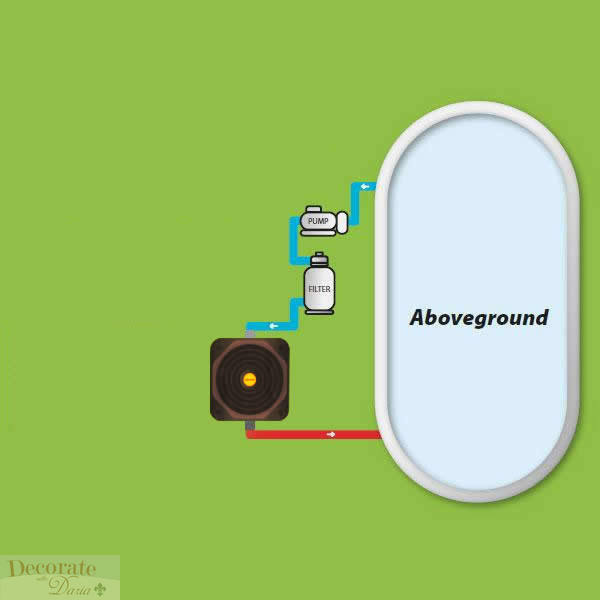 If your pool pump is in good working condition, there shouldn't be any problem using your existing pump. Where Can I Put The Solar Dome? Anywhere you get full sun for at least six hours during the day. The longer the solar collectors are in full sun, the better they work. The solar dome should face in a southerly direction if possible. DO NOT mount your Solar Dome on a roof. What About A Solar Blanket? A solar blanket will hold the heat in the water at night, especially early and late in the season. Remember, your EcoSaver solar dome pool heater will heat the water and a blanket will hold the heat it in overnight. Decorate With Daria, Inc. is an authorized broker/dealer for Under The Sun Pools and all pool orders go directly to our distributor who in turn fills your order and handles ALL the customer service and warranty issues. 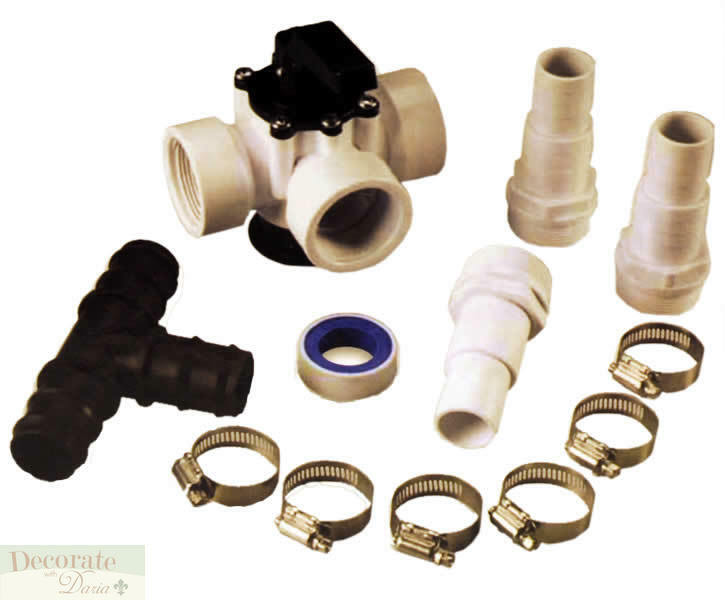 In order to get you the best possible price and the newest models, all pool stock is warehoused with our distributor and shipped to you directly from our distributor. There will times when stock availability on some pool/accessories models may be back-ordered. We at Decorate With Daria will notify you immediately if such a back-order situation exists on the model you ordered and will offer you a full and immediate refund if you decide to cancel. This warranty is provided for all Under The Sun Pools purchased with their dealers Decorate With Daria, Inc. Refusal to have Warranty work performed and/or refusal to have defective Pool parts replaced will result in your being fully responsible for ALL shipping charges TO and FROM Under The Sun Distribution and the Pool must be returned undamaged in its original boxes and packing material. The pool buyer must fill out and mail in all the warranty cards that come with the pool system and/or pool accessories. ALL warranty work and/or warranty issues and ALL repairs and/or replacements are then between the buyer and the appropriate manufactuer of the item(s) or part(s) in question. Neither Decorate With Daria, Inc. nor Under The Sun Distribution warrants, repairs or replaces any pools or pool parts. This warranty shall not apply to any product or component used in any industrial, rental, club or commercial purpose. Limited warranty on Pool replacement parts. Each manufacturer is solely responsible for and warrants its products to be free of defects in material and workmanship. Parts, which become defective within the warranty period, will be repaired except for damage due to negligence, abuse, misuse, misapplication, unauthorized modifications, improper installation, or normal wear and tear. Under the Sun Distribution will not be responsible for labor incurred by its authorized service agents per pre-established takes in removing, inspecting and reinstalling the warranty parts. Under the Sun Distribution will not cover any labor costs attributable to disassembly and reassembly of the unit. Under the Sun Distribution will not be responsible for labor costs of the routine maintenance, adjustments or alterations to the calibration of the electrical devices. This warranty is extended only to the original purchaser and terminated upon transfer of ownership. This warranty shall not apply to any product or component used in any industrial, rental, club or commercial purpose. This warranty shall not apply to any claims arising from the misuse, neglect, accident, abuse, improper installation, including but not limited to exposure to fire or to excessive heat, and other hazards of nature. Under no circumstances will the manufacturer be liable for any special or consequential damages arising from the use of the product, components, and the parts attached, or installed with it. Nor for injury to any person, any claims for damages arising from the use, installation or servicing of the product. The purchaser is responsible for providing adequate access to the equipment so that any necessary service may be performed. The purchaser must establish, by dated sales slip, invoice or deliver receipt, the date of purchase. All costs for removing and reinstalling the Pool including the freight charges to and from customer shall be at the customer's expense. REGARDLESS OF THE WARRANTY CARD BEING RETURNED WITHIN THE SPECIFIED TIME PERIOD, THERE SHALL BE NO WARRANTIES OR OBLIGATIONS; EXPRESS OR IMPLIED HEREUNDER, SPECIFICALLY EXCLUDING ANY IMPLIED WARRANTY OF MERCHANTABILITY OR FITNESS FOR A PARTICULAR PURPOSE, OTHER THAN SPECIFICALLY DESCRIBED HEREIN. NO LIABILITY SHALL ACCRUE TO UNDER THE SUN DISTRIBUTION; EXCEPT AS SET FORTH HEREIN. In order to get you the best possible price and the newest models, all stock is warehoused with our distributors and shipped to you directly from our distributors. There will times when the stock availability on some items may be back-ordered or even sold out without our prior knowledge. We at Decorate With Daria will notify you immediately if such a situation exists on the model you ordered and will offer you a full and immediate refund. Own It Now - Limited Stock! Don't Miss Out on This Incredible Deal! Optional Credit Card Payment via phone. Call 1-800-778-5364 - 24 Hours - Stock Availability Disclosure - There will times when stock availability on some pool/accessories models may be back-ordered. FREE SHIPPING TO ALL 48 STATES. Sorry, NO PO Boxes or APO's - Our FREE Shipping Policy does NOT apply to ALASKA, HAWAII, PR and USVI CUSTOMERS. Please email us FIRST before buying for the appropriate shipping rate. CANADA FLAT RATES only apply to close in Provinces, outlying Provinces are strictly on quote basis - Canadian customers MAY pay up to 15% duty plus Canadian Customs/Brokerage Duty charges when item arrives. *Due to Federal Health regulations, the Manufacturer/Distributor CANNOT take back any used Bedding, used or installed Bidets or used Saunas for any reason whatsoever. Those items can only be repaired or defective parts replaced per their warranties. There are no warranties with any used Bedding item. WARRANTY - All items (except bedding items) will have a manufacturers warranty policy and return/repair instructions to that manufacturer/distributor. All warranty issues and customer service must be directed to such manufacturer/distributor by the customer. Decorate With Daria is not responsible for such warranty/customer service issues and shall be held harmless in all cases. Decorate With Daria, Inc. does not service any warranties and is not responsible for the customer service of any warranted item. However, we will provide you with the contact information of the manufacturer and warranty procedure and assist you with the warranty process whenever needed. Most items if used for commercial purposes shall void the warranty, please read the items warranty for any exceptions. The buyer is 100% responsible for contacting the Manufacturer/Distributor of the purchased item for any and all repair work, parts or replacement. All return shipping costs may also be the sole responsibility of the buyer. All returns to the Manufacturer/Distributor must have a Return Authorization Number, which will be emailed to you along with the return instructions from that Manufacturer/Distributor. There will be a 25% RESTOCKING FEE on returned items. Return shipping and return shipping cost is the buyers responsibility and we must have a tracking #. If you refuse a delivery, you will NOT be given a full cash refund. All shipping costs and a 25% re-stock fee will be deducted from your refund. In the case of a delivery refused because of shipping damage the vendor has the right to re-ship you a replacement otherwise shipping fees and re-stocking fees will be deducted from your refund. All items approved for return by the Manufacturer/Distributor for cash refund MUST BE returned in new, un-used and re-sellable condition in the original boxes and packing material with all product instructions and parts within 30 Days of receipt of said item. You will be charged as much as 14% Customs Duty, a possible Brokerage fee and Local Taxes on delivery. Please have the money ready for the driver. If you do not agree with this policy please cancel your order before we ship it. growing family of online customers. Return Policy: All returns must be shipped back at the buyers expense in the original crate, box, packing and on a pallet if it was delivered on a pallet. Refunds will NOT be given on any item that has been used and that cannot be re-sold as brand new. Refunds will not be given to any customer who refuses to have defective parts replaced per the warranty. All returns must have an RMA number. If you have any questions or concerns please contact our 24/7 Message Line at any time.